Prof. Hanspeter Neuhold is professor of public international Law and International Relations at the School of Law of the University of Vienna. He also teaches at the Vienna Diplomatic Academy and directs the postgraduate Master of Advanced International Studies (M.A.I.S.) program offered jointly by the University of Vienna and the Diplomatic Academy. 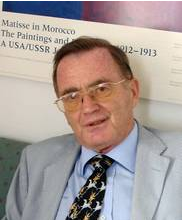 Prof. Neuhold studied law and International Relations at the Universities of Vienna (Doctorate) and Paris (Diploma of the Institut des hautes études internationales). He taught, inter alia, as guest professor at Carleton University (Ottowa), Stanford University and Leiden University. From 1988 to 1996, Prof. Neuhold was Director of the Austrian Institute for International Affairs. Since 1996, he is head of the Department of Public International Law.